72009 crept over the border from the L.M.R. into Great Eastern territory late morning on the 10th September 1958 and was noted working a Liverpool Street Clacton train that afternoon. The L.M.R. had its eyes on five ER Britannia's and as they had 5 Clans with little or no work for, they thought it might be a good idea to swop. 72009's evaluation was terminated as it showed no real improvement over the existing B1's (The LMR were aware of this as they had a similar situation with Black 5's) Without fuss 72009 was sent packing via the North London Line on the 21st October 1958. Southern Railway Battle of Britain Light Pacific 34065 Hurricane. One of five of these pacifics drafted into the Eastern Region in 1951 Hurricane was painted into BR livery early on and was one of the first to have the tender raves cut down on leaving the ER in 1952. Hurricane was photographed working the Norfolkman and Cambridge Liverpool Street Trains. 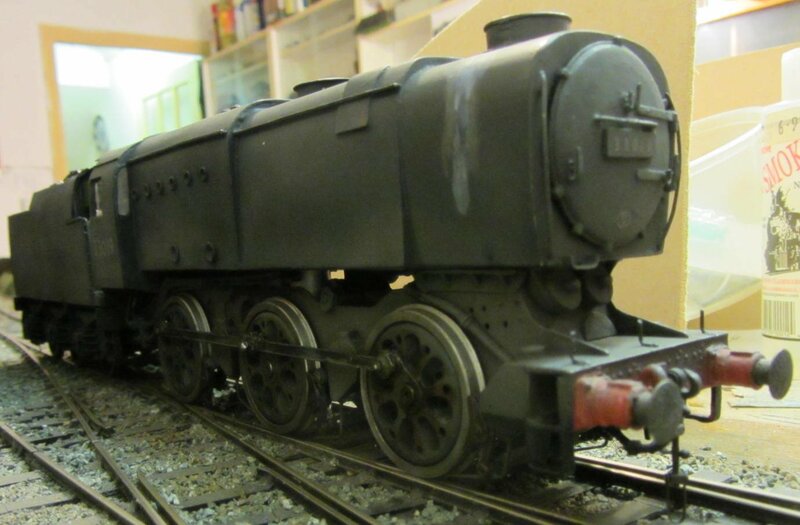 A Ravenscale kit with Kemilway chassis, RG7 motor,Suethe smoke unit and esu v4 decoder with sound from Olivia's trains. Name and number plates from Guilplates. 33019 was purchased on ebay, when it arrived it was a complete basket case having been reduced to a pile of bits in the post. The main downfall had been its method of construction GLUE!!! anything that could fall of did and the only thing holding the chassis together were the wheels and axles, even the chassis spacers had been glued. A complete rebuild of this ex Oakville kit has produced this model, I took the oportunity to re-motor the chassis, fit a Suethe smoke unit an Esu v4 with Howes sound running a 40mm round and a base reflex speaker. This class of loco was not shedded in the Great Eastern area until Aug 62 when 4 members of the class appeared at Stratford. They remained for one month before being reallocated to March. After three months they moved on. 78025 one of the four is in economy unlined black with the later tender crest. 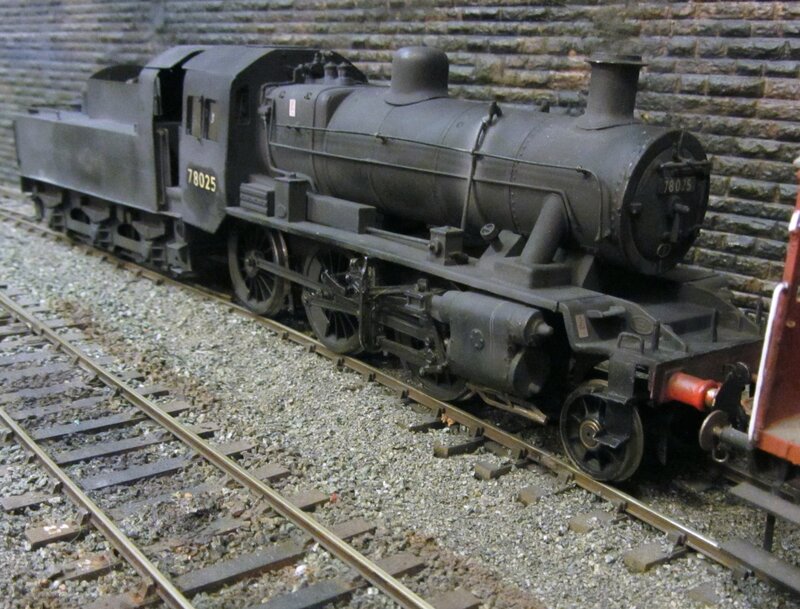 It is a DJH kit fitted with an RG7 motor, Suethe smoke generator and ESU V4 decoder with sound from South West Digital.